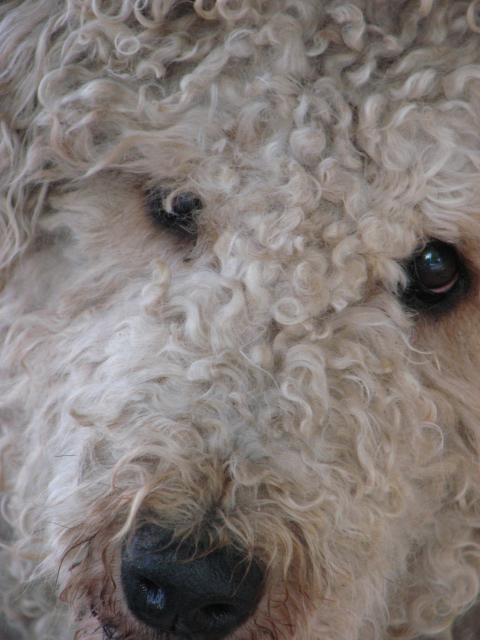 AireCanada in Alberta will be looking for a special home for a senior female Airedale. She is currently in our care but must be seen by a vet to have her checked over for any health issues. She is currently on thyroid medication and is very overweight. Once we have her checked, tested and hopefully have her medication balanced better, she will almost be ready to meet that very special someone who will love her and care for her for the rest of her days. She is a happy and outgoing girl with personality, but we cannot really assess her overall temperament until her thyroid medication is balanced and correct for her.